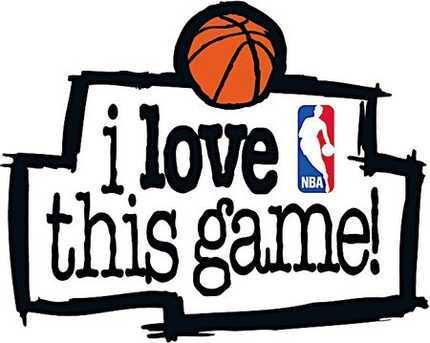 If I haven’t done so already, it is time to confess my love for basketball and the National Basketball Association. Growing up in a city with only one professional sports team, I took to hoops at a young age and was captivated by the many TV commercials that featured the larger-than-life stars of the NBA. Players have endorsed a myriad of products over the years – hell, I could write an entire piece just on the salesman in Shaq or Michael Jordan. But it isn’t only the Pepsi and Taco Bells that make the most of these dunksters. The NBA, itself, has created memorable marketing campaigns over the years without the aid of a hamburger or soft drink. While researching the topic, I spent an extra hour or two caught in the web of ’90s game footage on YouTube. Can you guess who had an entire afternoon, free of responsibility, to spend watching grainy footage of the 1993 Playoffs on the Internet? If you said, “the guy writing this article,” then you’re good at guessing. Dating back to the early 1990s, The Association has used the simple, yet effective strategy of splicing game highlights with music, then tacking their slogan on the end. From the long-running “I Love This Game,” to the current “Where Amazing Happens,” agency Goodby, Silverstein & Partners (formerly Goodby, Berlin & Silverstein) has molded highly popular campaigns for the league. It could be said that the product already sells itself, but there is no denying the NBA has a hit with its marketing. ‘Love’ was in play from 1992-99 (even reprised in 2003), often featuring celebrities professing their endearment, and built a foundation of fans during the Golden Era of Michael Jordan, John Tesh and Ahmad Rashad (“My main man”). Goodby knew sometimes all we want to see is the product, without the fluff, and that’s what we got. There were high-flying dunks, hustle and a few bloopers – to showcase the human nature of the players, I guess. For a kid, that human element seemed tiny considering the feats they accomplished on the hardwood, but hey, even the Terminator appeared to be flesh and blood when he wasn’t smoking fools or traveling naked through time. The nearly seamless transition to “Where Amazing Happens,” would have been more seamless had the league not been recovering from a ‘rogue’ referee scandal involving rumors of the mafia and wide-spread biased officiating. Fortunately for David Stern, this tarnished image bounced back surprisingly well and ‘Amazing’ marked a new era with an invigorated focus on creative. The ‘Where ____ Happens,’ auto-tuned press conferences and split-screen playoff spots all added complexity to the NBA’s campaign. Auto-Tune may be one of the most overused and ultimately misused inventions, even in regard to this paragraph’s subject, but at least one of the remixes was catchy. Let’s hope the suits in the home office have more restraint than T-Pain. I may be disappointed that the league never became where ‘skinny, not-very-athletic white guys’ happen but I’ll never let a degenerate, delusional referee with possible mob ties kill my love for the game. So, anyone wanna play on the sweet hoop above my bedroom door? This entry was posted in Brilliant! and tagged art, basketball, goodby silverstein, love, NBA. Bookmark the permalink.